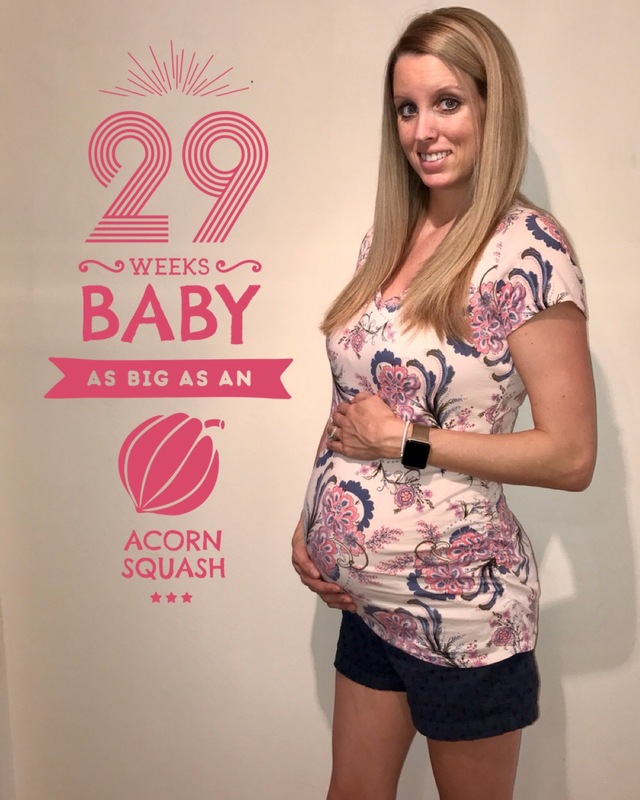 Baby is about 2.75 pounds and 16 inches in length this week. So just a small jump in height from last week, but one giant leap in weight. This trend will continue for the next 11 weeks. Baby will grow a few inches in length, and double or perhaps triple in weight. He needs those pounds, of course! The “white fat” he’s filling out with helps him store energy. Whereas the “brown fat” he developed months ago helped her generate and regulate her body temperature. Boys tend to weigh more than girls. Birth weight increases with the number of babies a mama has. In other news, baby is developing the buds for his permanent teeth right now—these choppers will lie dormant for 5–10 years before they make their debut. How does one sleep while pregnant?! I have always slept on my side, so it wasn’t a huge change for me to not be able to sleep flat on my back or on my belly. However, having this extra belly to support and waking up a few times a night to go to the bathroom has interrupted my beauty rest. I’ve even woken up to leg cramps and back pains in the middle of the night. Stay hydrated but avoid too much water a few hours before bed to limit those late night bathroom trips. Get support during the day to decrease aches and pains at night. Try a belly support band! Watch your diet. Eat small, mild meals to prevent fullness and the pain of reflux. Also limit caffeine. Keep moving. Consistent exercise will improve circulation and reduce those night time leg cramps. Get in a routine. Establish a consistent routine before bed. Use any relaxation techniques necessary to help reduce stress and wandering thoughts on all those things we want to get done before baby comes.